Chiropractor Dr. Secrest, DC is always eager to answer questions about how chiropractic care can help you go from pain to power. If you live in the Scottsdale, Temp, Mesa, Chandler, Paradise Valley, Fountain Hills, and Phoenix, AZ areas, just call us at (480) 994-4411 if you do not see your question listed here. Ask Us Your Chiropractic Care Questions! What exactly is chiropractic care? How does it help? The goal of chiropractic care is to bring your entire body into optimal health by correcting mechanical misalignments in the spine and anywhere else in the body where dysfunction is present. Vertebral misalignments are called “subluxations” and they can pinch nerves and cause imbalance and pain of all kinds in the body. Our chiropractor uses hands-on and instrument adjusting techniques to realign the spine, which enables the nervous system to direct healing resources where you need them. Our chiropractor, after diagnosing your condition with x-rays and Applied Kinesiology muscle testing, uses gentle, precise pressure with his hands, or with impulse vibrations from an instrument, to work the vertebrae back into correct alignment. Dr. Secrest uses low-force, Applied Kinesiology based technique, called Koren Specific Technique (KST) that is very comfortable and effective for patients of all ages and health conditions. What kind of conditions can be treated with chiropractic care? 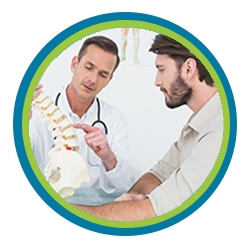 Our chiropractor can help you with almost any musculoskeletal injury or condition and more. Here are a few examples: back pain, neck pain, whiplash, headaches, migraines, sports injuries, car accident injuries, TMJ, carpal tunnel syndrome, women’s health concerns, elbow, shoulder, knee and foot pain, arthritis, tendonitis, stress, allergies and even ADD/ADHD. Dr. Secrest, DC has a holistic, collaborative approach to healthcare; if he feels that additional treatment is needed by another discipline, he will refer you. Who is a good candidate for chiropractic care? 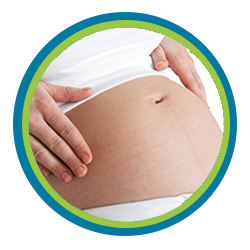 Dr. Secrest, DC can help patients of all ages and situations. His adjustments and techniques are gentle and intuitive for babies, children, and the elderly, very relieving for pregnant women who need drug-free pain relief, and strong enough to provide appropriate care for athletes, dads and construction workers. What can I expect during an appointment with your chiropractor? Our entire staff welcomes you like one of the family, and then Dr. Secrest, DC will fully examine you and your medical history. He will ask in-depth questions about your needs and discuss potential treatments. In addition to recommending the appropriate spinal or extremity adjustments, he may also recommend other complementary treatments that can help. Dr. Secrest, DC and our team can provide massage therapy, Kinesiology taping, acupressure, trigger point therapy, Reiki, low-level laser therapy, Cox spinal decompression, Graston sports therapy, Sacro-Cranial stress therapy, ZHT sleep disorder therapy, therapeutic exercises, and nutritional counseling. It all depends on your health goals. We realize you may have many more specific questions related to your individual health and healing needs, so please contact us at (480) 994-4411 to ask more questions, or to schedule an appointment at our Scottsdale, AZ office. Chiropractor Dr. Secrest, DC is passionate about helping all of his patients go from pain to power through optimal health and wellness!